ROTRONIC:n virallinen maahantuoja vuodesta 1983! lämpötilan mittareita ja vaihdettavia antureita. ROTRONIC:n uusin vallankumouksellinen tuotesarja on nyt saatavana! The HygroPalm23-A is the high-end product in our range of handheld instruments. Apart from measuring humidity and temperature, it also calculates all psychrometric parameters and offers various additional functions. The measurement results can be recorded continuously and these separated simply using the batch function. All ROTRONIC transmitters in the Airchip 3000 series can be adjusted with the HP23-A via a service cable. MP102H and MP402H series probes provide first class accuracy and stability. Based on the HygroClip HC2-S3 probe, they have linear voltage or current outputs for secure transmission. An RS485 interface is also provided. Meteorology probe with linear voltage output for the use with HygroClip S3 probes. Meteorology probe with linear current output for the use with HygroClip S3 probes. Rotronic:n tuotteet jossa on jo HygroClip2-tekniikka! Our latest generation of humidity probes and instruments is based on the AirChip 3000 technology. a microcontroller and a memory (EPROM), all in a single chip. This gives the AirChip 3000 the functionality of a small specialized computer. a humidity sensor and a temperature sensor, and to provide both digital and analog output signals. conform to IEC / ASTM standards, for the linearization of the Pt100 RTD temperature sensor. regarding electronic records and electronic signatures (ERES). of the Hygromer ® capacitive humidity sensor. There is a difference in humidity sensors! Don't make the mistake of assuming that all relative humidity sensors perform the same. many years of experience in humidity measurement and is uniquely different. repeatability and durability even under extreme climatic conditions and severe pollution. and tight manufacturing standards contribute all to make the Hygromer sensor superior. Magnified View of the Hygromer sensor. Average life time well in excess of 10 years. Practically maintenance free, with long intervals of time in between calibrations. Survives long term exposure to temperatures of up to 200°C. There is no known limit for temperatures below freezing. This is further enhanced with the introduction of the AirChip 3000.
jossa on AirChip 3000 ! The HP21 is a highly accurate hand-held indicator that displays relative humidity, temperature and the dew or frost point. and generally for all ambient air measurement within the temperature range of -10 to 60°C. The key features of the HP21 will meet user requirements ranging from the most basic to demanding. enabled by the user with the ROTRONIC HW4 software. In spite of its sophistication, the HP21 can still be used just as a simple humidity and temperature indicator. Whether you decide or not to take advantage of its full potential, the HP21 will let you have it your way. is reaching a level of performance not seen before in the field of humidity measurement. The AirChip3000 forms the core of the new HygroClip 2. The AirChip 3000 capabilities include the compensation of humidity and temperature at 30,000 reference points, the recording of 2000 data points, and the calculation of dew point. 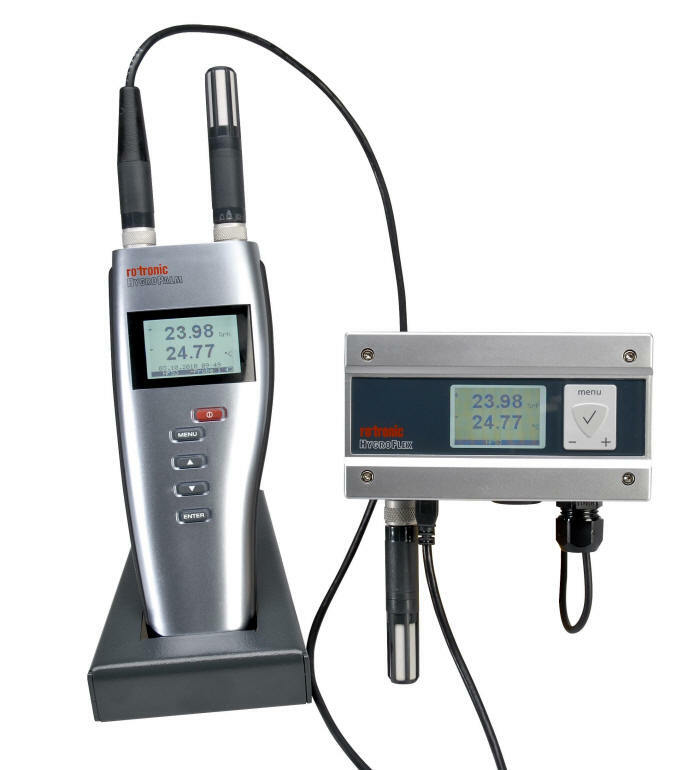 Our standard and most cost effective probe for the measurement of humidity and temperature in air using handheld instruments, dataloggers or transmitters. Fully interchangeable with a digital output to ROTRONIC products such as the HygroPalm handheld and HygroFlex transmitters. The HygroClip2-S also has two analogue 0...1V output signal for OEM or datalogging applications. using handheld instruments, dataloggers or transmitters. 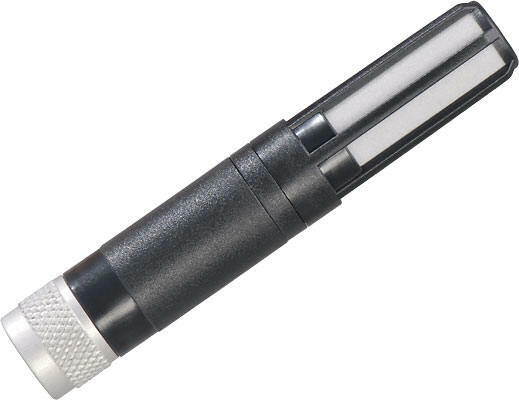 Handheld probe for measurement in applications from -100 to +150°C in combination with the HygroPalm 22 handheld indicator. The AirChip 3000 can do even more, including self-diagnostics. If sensor accuracy declines significantly, the AirChip 3000 recognises the problem and will issue an alarm. It also combines within itself an ASIC (Application Specific Integrated Circuit), a micro-controller and a non-volatile, electronic memory (EEPROM). The new sensor technology from ROTRONIC ! Combined with the new technology of the AirChip3000, ROTRONIC has further improved the humidity sensor. Today, the HygroClip 2 provides reproducibility and a guaranteed system accuracy of < 0.8 % r.h. and 0.1°C. In addition, response time has been significantly improved, and new filter technology provides even better protection for the sensor against environmental influences. 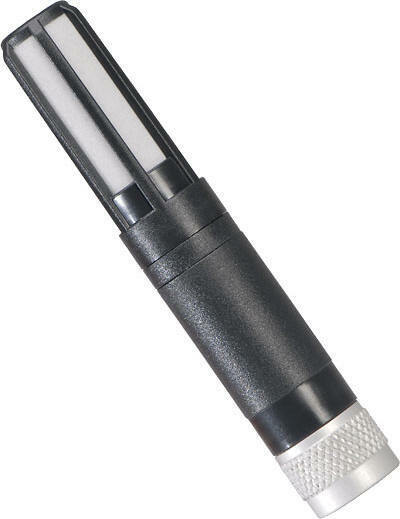 Handheld probe for measurement in applications from -100 to +200°C in conjunction with the HygroPalm 22 handheld indicator. Combining all of these features with an operating range of up to 200°C provides a level of performance no other humidity sensor in the world can equal. 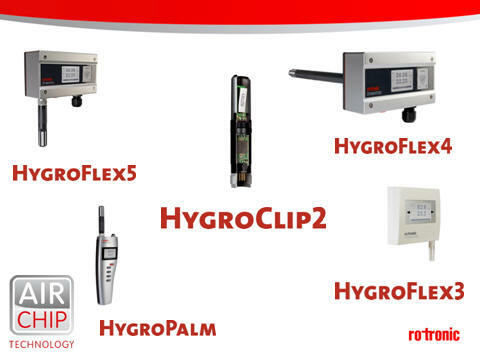 Of course, the HygroClip 2 is suitable for use with all ROTRONIC products - from handhelds, transmitters and data loggers to the meteo probe. As our product development moves forward, the HygroClip 2 will be integrated in all of our products. For OEM customers the analog, freely scaleable signals and the UART interface, provide an easy path to integration into any system. All of this combined makes the HygroClip 2 the best humidity product on the market today, and one that currently also has no competition in terms of quality and longevity. ROTRONIC, based in Switzerland, has extended its leadership in humidity and temperature measurement with the introduction of the HygroClip 2. The new HygroClip 2, the second generation of the HygroClip family, is reaching a level of performance not seen before in the field of humidity measurement. 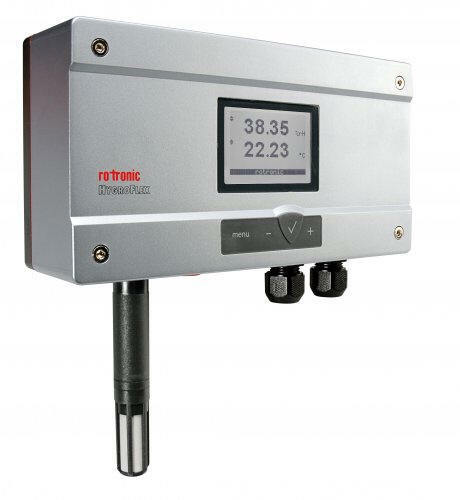 The complete range of ROTRONIC's humidity measuring equipment is now available with our new catalog. Particular mention must be made to the launch of the HygroClip2 and AirChip 3000. The HygroPalm21/22 –series represents a new generation of portable humidity/temperature instruments utilizing the very latest AIRCHIP3000 technology achieving a degree of accuracy not seen before. The HygroPalm is a highly accurate hand-held indicator that displays relative humidity, temperature and dew point. ROTRONIC'S new HygroFlex5-series is the latest development in transmitters for humidity, temperature and dew point. The HygroFlex 5-series is ideal for all applications where exact measurement of humidity and temperature is of decisive importance, e.g. the food and pharmaceutical industries, printing and paper industries, meteorology, agricultural sector, archaeology, climatology, etc. The new HygroMer humidity sensors from ROTRONIC. ROTRONIC, based in Switzerland, has significantly improved the HygroMer humidity sensor family to meet new market requirements by incorporating new materials and production processes. 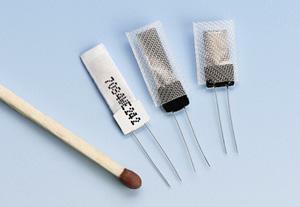 is the only humidity sensor probe that can operate in temperatures up to 200°C. 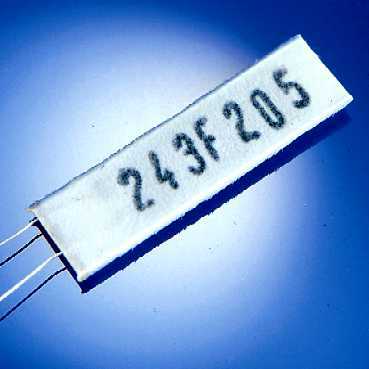 ROTRONIC launched the first capacitive sensor to the market in 1980. Capacitive sensors have proven over the years to be well suited for measuring humidity. that changes its electrical properties based on the water vapour present, forming a variable capacitor. The electrodes are intentionally designed so that the water molecule can pass through to equilibrium with the polymer. New sensors have been developed and added to the HygroMer sensor family. These sensors handle rougher applications than is possible with current sensors. With these additional new sensors, ROTRONIC is now able to offer application-specific products with the ideal sensor. If rapid sensor response time is a requirement for a particular application, ROTRONIC has the suitable sensor. If the sensor is subjected to high humidity levels for a long period, ROTRONIC has the suitable sensor. If H2O2 is used in sterilisation applications, ROTRONIC has the suitable sensor. New polymers and materials, together with new processing methods, have made the proven HygroMer humidity sensor even better. For more detailed information and printable illustrated material, visit our Web site. Honorees span the industrial marketplace in a total of nine product categories ranging from the latest developments in Green technology to the newest building automation tools. was awarded the winner in the category of Indoor Air Quality with our product the HygroClip2 humidity and temperature probe. has extended its leadership in humidity and temperature measurement with the introduction of the HygroClip 2. The AirChip 3000 forms the core of the new HygroClip 2. If sensor accuracy declines significantly, the AirChip 3000 recognizes the problem and will issue an alarm. Combined with the new technology of the AirChip 3000, ROTRONIC has further improved the humidity sensor. 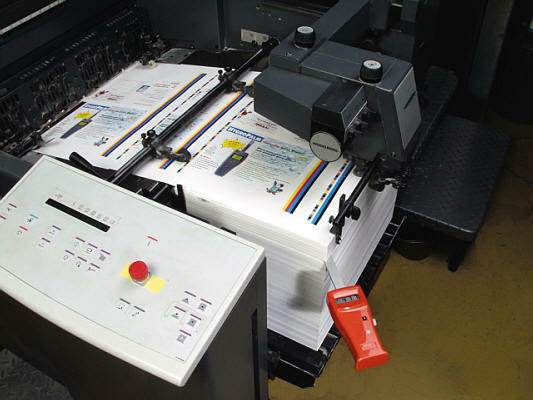 Today, the HygroClip 2 provides reproducibility and a guaranteed system accuracy of < 0.8 % RH. and 0.1°C. 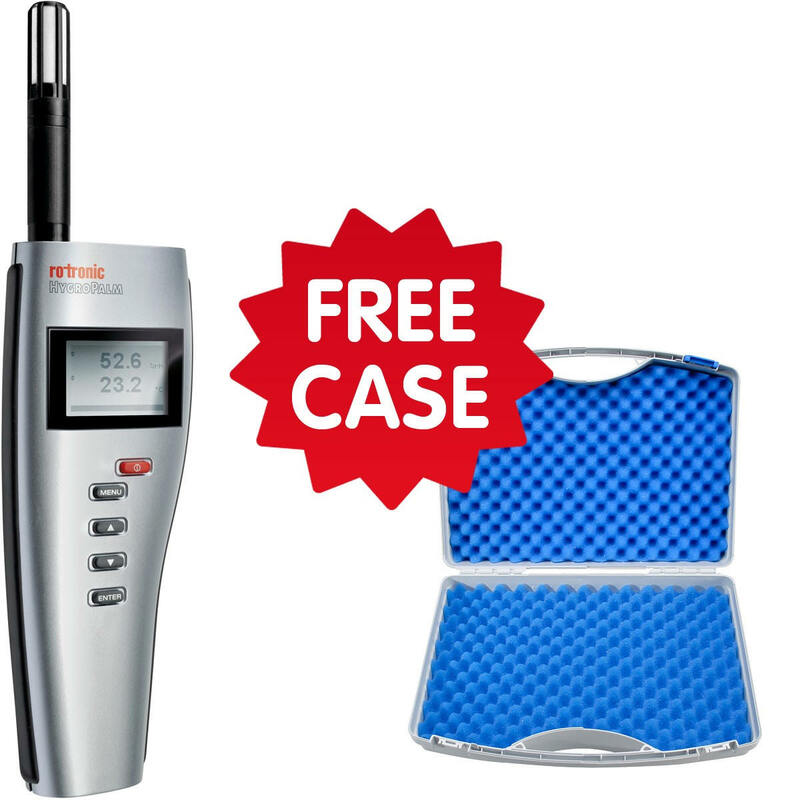 from handhelds, transmitters and data loggers to the meteo probe. to all aspects of humidity and temperature measurement. For 40 years, ROTRONIC has been combining technical innovation with Swiss quality. The new HygroClip 2, with its integrated AirChip 3000, is setting new standards in terms of accuracy, operating range and OEM flexibilty. ROTRONIC sells their products worldwide in 40 countries and has branches in the USA, Germany, Great Britain, France, Taiwan, Singapore and China. 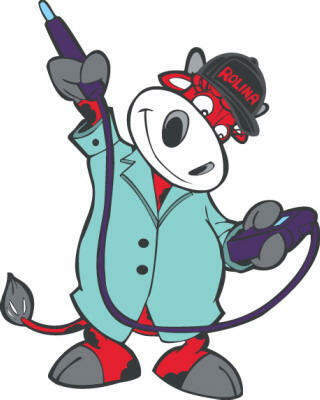 Distributor of ROTRONIC products from 1983! ROTRONIC industrial transmitters are robust, high quality products designed specifically for demanding commercial and industrial applications. Rotronic handheld instruments are highly accurate and very easy to use and maintain. They are suitable for many different applications. Our meteorolgy probes are robust high quality products, developed for demanding applications and a long lifetime. Rotronic AwVC -laitteillaan, pyydä tietoa!